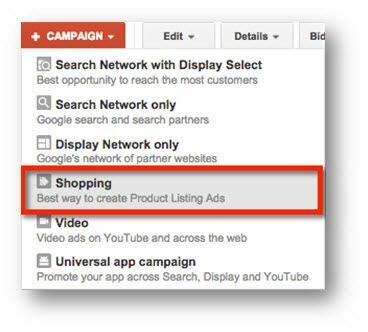 Shopping ads are an ad format available in shopping campaigns in AdWords designed for retailers and resellers. These allow you to advertise specific products and relevant product information to users when they are searching for those products. 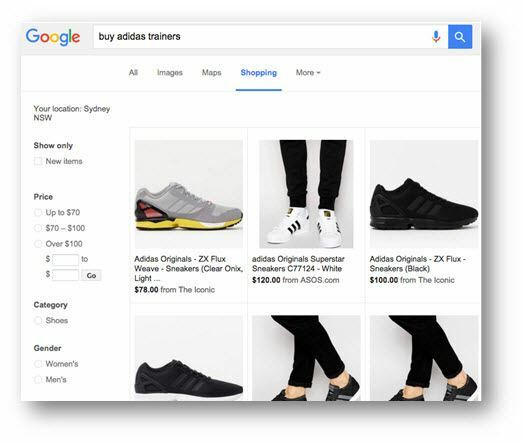 Users can also search specifically within the shopping tab in Google (in the below image, you can see shopping highlighted and underlined in blue). From here users can set criteria for their shopping related searches to find the products that they are looking for. This makes PLAs a very attractive channel for retailers and advertisers who want to get their products in front of potential customers. Because your products will be listed next to similar / identical products form competitors, companies that are not able to compete on price may struggle to get Clicks. 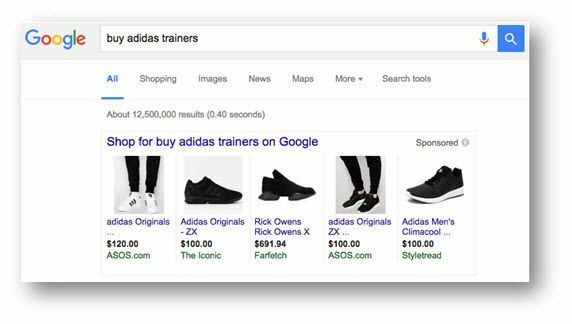 Rather than matching keywords to search terms in order to target users, PLAs use the product data within your Google Merchant Centre account (which we discuss in more detail below). Google use this data to match your product listings with search terms. Creating PLAs is very different from creating all other ad formats, at no point to do go into an ads tab and start creating ads! Instead we use feeds and the data contained in feeds to create ad groups that are constructed based on those feeds. We cover Google Merchant Centre in more detail in another guide, for this we describe only those features and components relevant to the PLAs that are the subject of this guide. Google Merchant Centre is where most of the work is done when setting up PLAs, as this is where you upload your feeds and provide Google with product information. A product feed is essentially a data feed containing all of your products and the information / attributes that Google cater for. The feed can take one of many forms such as XML or CSV, if you have a large inventory it is essential that the feed is generated automatically. Discrepancies between feed data and website data can prevent your PLAs from showing… On larger eCommerce sites, the only way to manage this is through automation. You can create different feeds for each product range or category of product or you can create one single feed containing all products. Often companies use the shopping cart provider to do this but there are 3rd party companies out there that can help you with this. The term ‘item/s’ refers to specific products but is different from what we call a product, as it is a specific type of product such as a red or blue shoes rather than just a ‘shoe’. Items are essentially variations of products, which may vary by size, colour, etc. Items may take up to 72 hours before showing in AdWords. Products are the groups of items in your inventory, whatever it is you sell is a product but these can include a wide variety of items. Product groups are a way to organise products using the product attributes, typically used for bidding and in place of keywords. What group a product belongs to is derived or determined by the attributes of the product (see below product information). The default product group is ‘all products’ but this can be split out into smaller more closely related product groups. 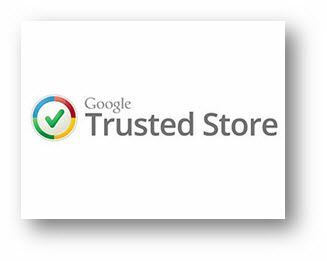 Within Google Merchant Centre there are a range of components that you will need to provide when creating a product Feed. This is the ID (identification) used to uniquely identify the product. This is the name of the product; this text is visible in the Product Listing Ad. This is a product description and will be visible within the Product Listing Ad once clicked. This should include all relevant product information. Google provide a complete list of product taxonomy from which you must chose the one that is most relevant to the product. You cannot create or define your own taxonomic categories. This is the URL the user will land on if they click your ad. This is the URL the user will land on if they click your ad, you can choose to send them to a mobile optimised landing page if you have one available. This is a badge (see below) that you can become eligible to have them appear on your ads after applying to Google. This creates trust and encourages CTR (Click Through Rate). 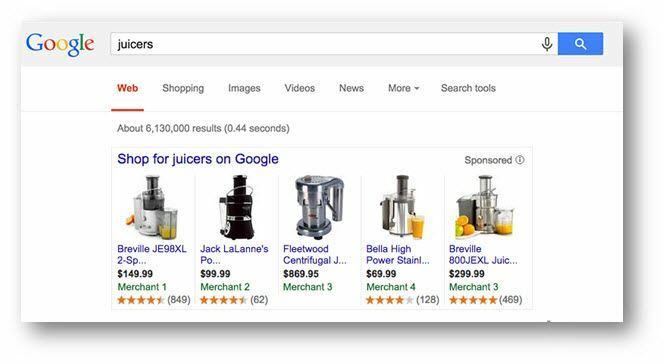 The most obvious benefit of using PLAs is that you can promote specific products to users who are searching for those products. Thus the relevance is typically very high and the path to transaction is improved for the user. You only pay when someone clicks your ad, so you only pay for PLA’s when they deliver (typically highly qualified) traffic to your site. PLA’s are a completely different breed of ad and hence occupy a different space within the SERPs; it is entirely possible to have a Search Campaign ad, a shopping ad, and an organic result all on the same page. Consequently you can increase your presence within the SERPS and thus your chance of receiving a click. As with any component of AdWords, reporting is highly detailed and granular, allowing you to both report on and analyse data for optimisation. Filters allow you see the performance of any item, product, product group, etc. PLA’s typically deliver more qualified potential customers to your site. This is a different channel for promotion in AdWords to all other ad types and hence you can use this to deliver additional traffic and conversions to your business.